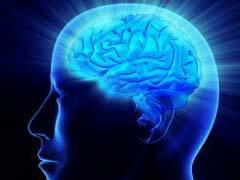 Neurological Diseases - When To Visit A Neurologist? Neurological Diseases – When To Visit A Neurologist? According to the World Health Organization public health records, about 6% of the global population is affected by various neurological diseases ranging from relatively mild in nature like migraines and neuralgia to severe such as epilepsy that may require immediate medical intervention. Personal awareness of neurological diseases and their symptoms and knowing when to see a neurological specialist is important because early intervention may lessen neurological diseases symptoms and help keep the condition under control improving affected individual’s quality of living. With major advances happening in the medical field, people are able to live much longer than ever before. With this come other challenges of neurological diseases affecting aging population of 65 years and older. Neurological diseases that were unknown to humanity in the 19th century or before come in the spotlight and require complex medical treatments. In addition, many symptoms a patient might be experiencing might be signs of an impending neurological condition that could be prevented altogether like a stroke, for example, if proper medical measures are taken. Below we will briefly outline several of the common neurological diseases and disorders and provide symptoms that might be associated with these conditions. If you or your loved ones experience one or several of the mentioned below symptoms, it’s crucial to get timely medical attention to rule out a more serious neurological disease. Dementia is a broad medical term that encompasses a wide range of neurological diseases affecting brain and cognitive functions. Dementia is a chronic and progressive neurological disease that affects mostly elderly individuals of 65 and older. Dementia is vividly showcased by the loss of basic functions and skills like speech, memory, comprehension, learning and many more. There’s no cure for dementia and it usually results in full disability sooner or later. There are various forms of dementia with Alzheimer’s disease being perhaps the most well known. In some countries dementia is not considered a disease altogether but a natural consequence of aging. Dementia treatments are mostly symptomatic and supportive, directed to improve the quality of life of the patients. Some of the symptoms of dementia to watch out for are forgetfulness, disorientation, loss of basic living skills, speech problems, depression and frequent changes in mood. Epilepsy is a serious chronic neurological disease that is manifested by epileptic seizures of various degrees of severity as a result of abnormal functioning of the brain. Epilepsy has strong genetic underlying factors. Some individuals are simply more prone to developing this condition. Since there are a multitude of causes that can trigger an epileptic condition, the treatment will mainly depend on the underlying factor that caused this disease. Epileptic condition could be caused by viral infections, brain injuries, severe stress, substance abuse, strokes and various other scenarios. There are also different triggers that can bring about epileptic seizures ranging from simple reading, watching TV, playing video games to being exposed to flickering light, hot tubs and even listening to loud music. Since there’s currently no cure for this condition, the treatment is focused on prolonging the timeframe between epileptic attacks and reducing their number altogether. Migraine disorders (MD) are categorized into primary and secondary headache disorders. While primary headaches appear for no apparent reason, secondary headaches are always caused by a certain predisposing condition like a head injury, infection, and developmental disorder of the brain or other factors. The underlying causes for MD condition are unknown and could be triggered by a multitude of factors ranging from genetic predisposition, hormonal imbalances, lifestyle, diet and even geographical location. People residing in warmer climates and eating high amounts of spicy foods like in India, for example, are believed to be more predisposed to this condition according the WHO. The main treatment for MD is pinpointing and avoiding MD triggers that could vary in patients. Keeping a headache diary and recording headache instances and all the events leading to the incidents could be helpful for you and your doctor to properly diagnose your condition. Some patients with headache disorders showed great improvement with herbal remedies, however, proper diagnosis is a must before taking any herbal preparations. If you experience frequent debilitating headaches, light sensitivity, vomiting and nausea that accompany these events, it’s critical to talk to your doctor to rule out more serious neurological diseases. Neuropathy literally is the disease of the nerves and could be caused by a multitude of primary illnesses. The symptoms of neuropathy may include the following: neuralgia tingling and pain in the limbs, loss of sensation and even changes in skin color due to poor blood circulation. There are 2 major types of this neurological disorder, mainly, hereditary and acquired to medication side effects, injuries, diabetes, cancer, infectious diseases and many others. At times it’s impossible to find an actual cause for neuritis but in most cases the treatment course mostly focuses on the relief of the symptoms that accompany this condition, including pain killers, anti-inflammatory and medications improving blood circulation.